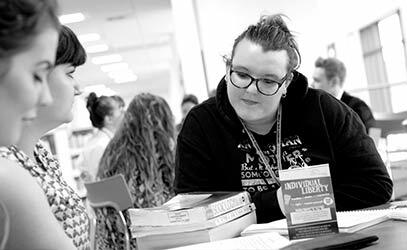 From short courses to university degrees, at Vision West Nottinghamshire College we offer a number of opportunities for adult learners. Find out more about the different courses on offer to you. From A Levels to vocational courses including NVQs and BTECs; West Notts offers a wide range of full-time courses for those wanting to develop skills for a specific industry or develop the practical skills needed for employment. Designed for adults returning to education. Courses will help prepare students for higher-level academic study. A selection of part-time, short and evening courses for those looking to update their skills, retrain for a new career or achieve a qualification that will help them to improve on their current role. Community courses can provide a great first step back into education and learning, and you will have the opportunity to gain new-found skills and qualifications, as well as to meet like minded people in your area, with the same interests. HNCs, HNDS, foundation degrees and top-up awards validated by University of Derby, Birmingham City University and Edexcel. A wide number of professional work-based training courses across a number of sectors. Students enrolling on these courses may need significant experience or be already in employment. Students can access a number of training opportunities and qualifications, online through the E-learning system.